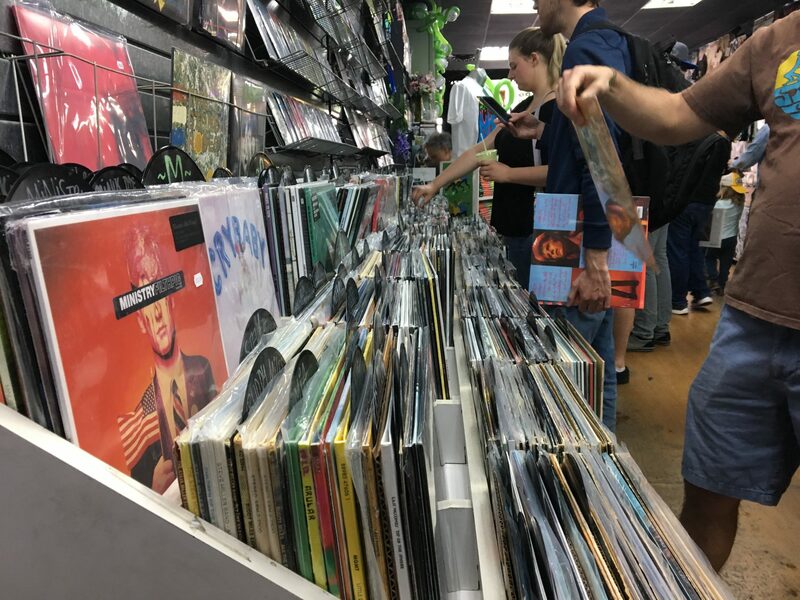 According to Nielsen Music, vinyl experienced sales growth for the 13th consecutive year in 2018, and South Philly record stores have been cashing in. Shoppers sift through albums at Repo Records on Record Store Day. For South Street’s Repo Records, Record Store Day brings in as much revenue as the business would in any other two-week period. That’s how big it is. According to Nielsen Music, vinyl experienced sales growth for the 13th consecutive year in 2018, and South Philly record stores have been cashing in. Matherson isn’t the only one. Sit & Spin is primarily geared toward punk, hard rock and heavy metal, which is reflected among the store’s best-selling albums as of late. According to McMahon, those albums include The Cosmo Cleaners by Uranium Club and Posthumous Humiliation by a local Philadelphia-based band called Pissgrave. Molly Russakoff, the owner of Molly’s Books & Records, which is located in the Italian Market neighborhood, says her store sells only used records. As a result, music from the ‘60s and ‘70s, like soul, R&B, modern jazz, classic rock and punk rock, sell the best in her store. Matherson said that classic rock artists, like Led Zeppelin, Pink Floyd, Bob Dylan and David Bowie, will perennially sell very well. He’s especially sold a lot of Queen lately, which he attributes to the recently released Freddie Mercury biopic, Bohemian Rhapsody. Of course, newer indie artists sell very well, also, which is stereotypically seen as the vinyl boom’s core demographic’s favorite genre. Some records that top the charts in those categories, according to Matherson, are Snail Mail’s Lush, Soccer Mommy’s Clean and the eponymous debuts of bands boygenius and Better Oblivion Community Center. Russakoff said that her store, which also sells books, “can’t find enough” used records to sell. “We’re always out looking,” she said. Despite the vinyl boom, the medium was never actually dead, according to Matherson.